Every year, millions of Americans find themselves in a financial bind and in need of monetary assistance. 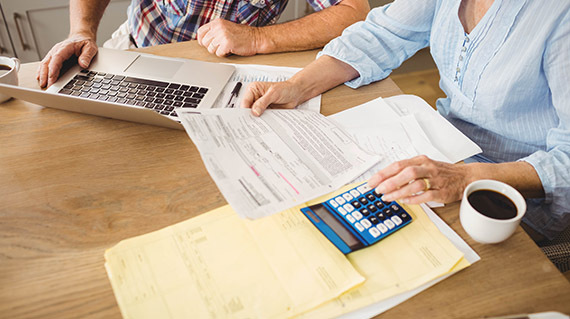 If you’re one of the millions who has been or is currently in a similar situation, chances are you’re looking for feasible solutions to help you through this time without further risking your financial well-being in the future. Consider the option of applying for a cash advance loan. A cash advance loan is often referred to as a short-term loan or an installment loan, and is designed to help you get the money you need in an emergency. Power Finance Texas offers cash advances in the form of an installment loan ranging from $100 to $1,250. These small-dollar loans are intended to help cover unexpected expenses like car repairs, medical bills, home repairs, school expenses, or to assist in finances in the event you experience a cash emergency. These loans are to be used as short-term financial assistance, not a long-term solution. Cash advances can be accessed in one of two ways: an in-store advance and an online advance. If you need your money the same day, an in-store advance is the best option for you. Call 1-800-272-9329 to apply and then select the store nearest to you where you will receive your money. You can also apply for an online cash advance without visiting a store and have the money deposited directly into your bank account the following business day. Power Finance Texas also requires all loan applicants to have an active checking account for at least 30 days, proof of employment for more than three months, an active home or cell phone number, and earn a monthly income of at least $800 for in-store advances and at least $1000 for online advances. Because cash advances are to be used only for short-term financial solutions, there are several details you’ll want to know before committing to the process. First and foremost, your loan payments must be made promptly on your due dates. Failure to pay on time may result in added charges and fees. Social Security can be used as income if it’s more than $800 per month. At this time, individuals who are self-employed or work contract labor do not currently qualify for the Power Finance Texas program. Direct deposit is required for an online advance, but paper checks are okay for an in-store advance. If you don’t have a direct deposit account but meet all other requirements listed above, stop by your nearest Power Finance Texas office today. If you think that applying for a cash advance loan is the financial solution for your short-term bind, contact Power Finance Texas today. You can either apply for cash advance loans online and get approved in just minutes or call our headquarters at 1-855-319-7288. Don’t let your temporary financial situation leave you in a lasting bind. Apply for a loan today!